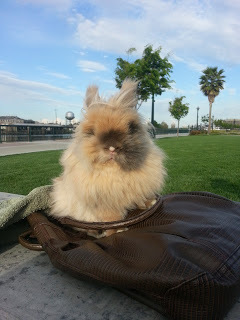 Speedy the cheeky house bunny: Maddy is home!She has The Heart of a Lion. Maddy is Home!That bunny has a heart of a lion.She is eating,pooping and doing her peepee too!What a little fighter she is!So now Maddy has to recover from her surgery,Speedy has been doing a happy hoppy bunny dance all day!Please visit her and see her mum Megan's latest post at Me&Me(gan). Yay Maddy! That's cute. 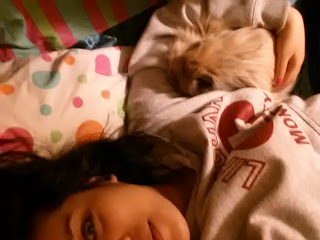 She's a lionhead right? This is the most wonderful news. I just hopped over and left them a comment. Speedy that is great news about your furend. We are so pleased. Have a wonderful Wednesday. Woot woot Maddy!!! Great news! yay for Maddy! What cute photographs. She is extra fluffy. Yay for Maddy! This is such fantastic news!!! That is truly happy dance news Speedy! That is great news Speedy! Awesome news for both Maddy and Speedy! What great news, Speedy! We purr that Maddy heals quickly. Time for the happy dance. So pleased to hear she is home safe! We are happy to hear all has turned out well!!! Whee such good news Speedy! O my gosh, she is ADORABLE! I'm glad she's home! Precious Maddy!!! 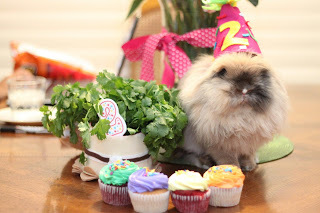 WE love Lionhead bunnies!!! We are doing some catching up. Maddy is very lucky to have a friend like you rooting for her.